M 1 is a stellar remnant of a star that exploded. When the star exploded in 1054 A.D. it was so bright that it was visible during the daytime. 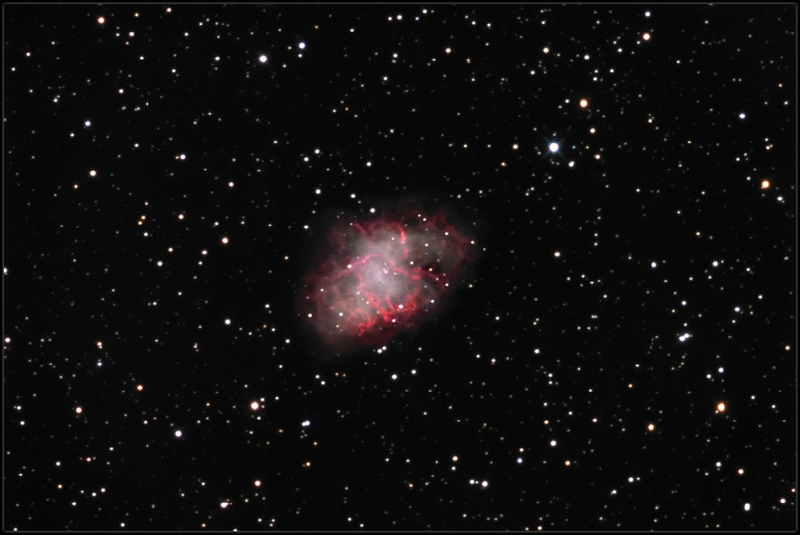 The Crab Nebula lies approximately 6300 light years from Earth. Image acquired using SBIG St-10XME camera with Astrodon filter set through 10" AT10-RC telescope. 40minutes of Luminance, 1x1 Binning. 30 minutes each of Red, Green and Blue, 1x1 Binning.